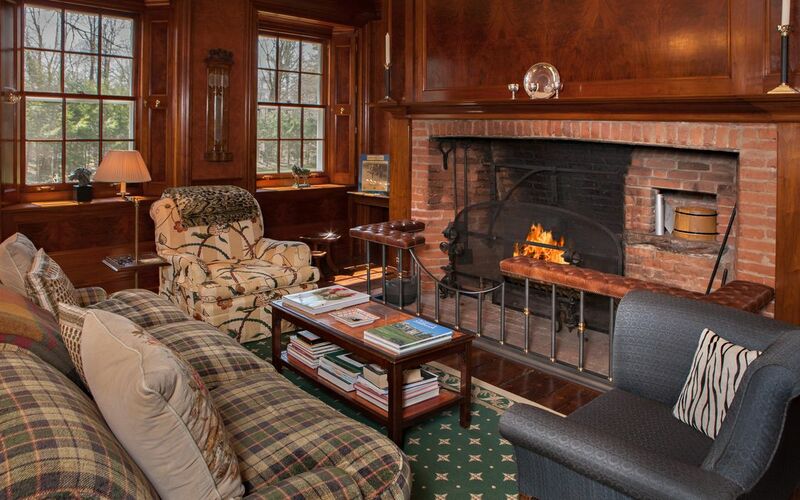 Do you ever wonder about the interiors of the most gorgeous country estates? Here is a sampling of 10 luxurious country mansions. Wow, look at this beautiful country estate with it’s gabled roofs, stone chimneys, grand pergola and elegant pool. I love that outdoor fireplace. Here is the same view from the sky, look at that perfect slate patio. This is a view of the pool from the house. The gabled roof of the house is repeated on the pool house. A lovely luncheon overlooking the pool. I love the deep molding of this lovely dining room. The inlaid mahogany pedestal table is beautiful. Two seating areas help make this large living room more cosy. I love these bell jar pendants. Wow, look at that wainscoting. What an elegant foyer. The door at the other end of the foyer. Notice the inlay on the floor and the uniquely coffered ceiling. Oh my – a stained beadboard ceiling! Ok this is beyond belief! This lovely den is bright despite the dark paneled walls. This beauty sits right on the water with views from almost every room! This master bedroom has such lovely wallpaper and vaulted ceiling. 3. Grandmom’s Favorite Country estate. This estate has an unbelieveable infinity edged pool which overlooks the mountainside. Look at those walkout bay windows on the back of this house. This is just the inside of the pool house! This is the breakfast room for the main house. Love those chairs with the round table. How about that dark stained beadboard ceiling. Are they allowed to slide down that banister? Look at the herringbone floor. Look at the thickness of the marble top on that island! This is a different side of the porch house. Ok this home reminds me of Anne of Green Gables multiplied and expanded! Gorgeous! This is some neighborhood! I think this is my favorite foyer of all of the country estates. So tell me- Which of these luxurious country estates is your favorite?